I was at our annual clergy conference today, and I had time to make this watercolor. We met at Alderbrook Resort on Hood Canal, which has a beautiful view of the Olympic Mountains (when the clouds aren't covering them). 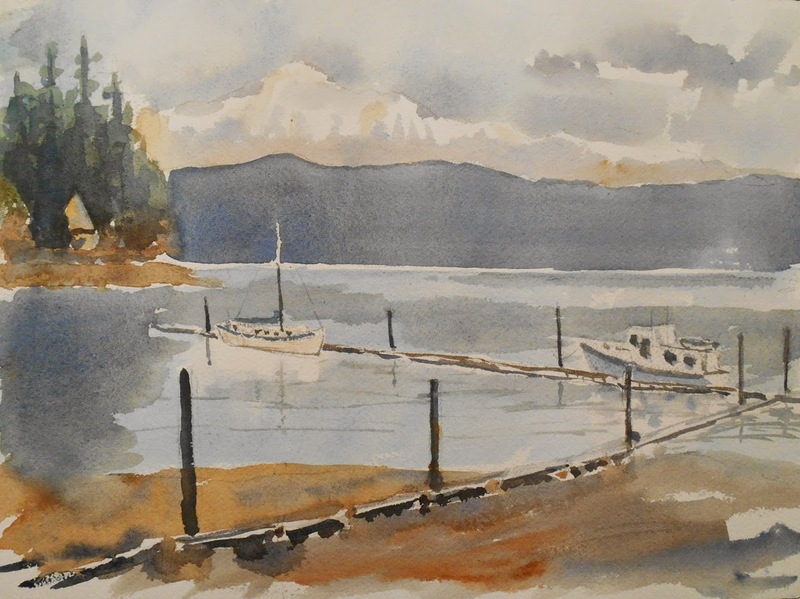 I'm an aspiring watercolor artist in Tracyton, Washington. This blog is a record of my latest efforts at capturing the world around me in my sketches and paintings.